Nepal Ascent Treks is one of the leading travel and trek organizations in Kathmandu, Nepal. Catering to the needs of adventure seekers from around the globe. We provide a whole variety of adventure packages, including trekking, tours, expeditions and many more, all across Nepal. In addition, we can take you to Tibet, Bhutan and India. Visit https://www.nepalascenttreks.com for more details. Infinite Adventures offers small group tours in a converted school bus in Alaska, Canada, and Western USA. Join us to explore National Parks like the Grand Canyon, Yellowstone, and Denali. See glaciers, bears, moose, and hike or kayak in the wilderness. Visit https://infiniteadv.com for more details. The West Africa overland adventure travel experts, operating exploratory overland trips through Senegal, The Gambia, Guinea-Bissau, Guinea, Sierra Leone, Liberia, Ivory Coast, Burkina Faso, Benin, Togo, Ghana, Mauritania, Western Sahara, and Morocco. Visit www.overlandingwestafrica.com for more details. 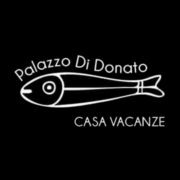 Palazzo Di Donato holiday home is located in an early 20th century historic building, in the centre of Cava de’ Tirreni. Our B&B is the perfect place for a holiday stay because of its ideal location between the Amalfi Coast and the most important archaeological sites and beauty spots in Campania: Pompeii, Paestum, Herculaneum, Naples, Salerno, Caserta, Capri, Ischia, and the Sorrento Peninsula. Visit http://www.palazzodidonato.com for more details. The Nature’s Gift Safaris deals with holiday’s travel which includes wildlife viewing, mountain trekking, beaches, traditional tours and school field programs. We have 10 years of experience in the tourism industry. We are based in Arusha, Tanzania, East Africa. 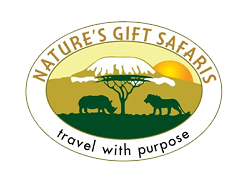 Visit https://naturesgiftsafaris.com for more details. DIMORA AGANOOR is an ancient residence for travelers and dreamers. It’s located in an historic building, 5 minutes walking from the town center, to welcome lovers of good living, culture, elegance and relaxation. Only few rooms, to give the best attention, privacy and quiet. Rooms are designed to let you understand the traditional architecture: wood, stone, brickwork. In any season you will always find some typical dishes to taste in the suggestive 19th century garden or in the cozy rooms. Visit https://www.facebook.com/dimoraganoor for more details. Our B&B is located in a quiet place in the historic heart of the city. “B&B Cava – Bed And Breakfast and Casa Vacanze” is a building of the past brought into the present, with unique touches that guarantee top comfort. We offer to our customers en-suite bathroom, free Wi-Fi, rooms with A/C and central heating, TV, a small garden, kitchenette, a light-filled terrace, right in the historical center, with shops, coffees, pubs, restaurants, pizzerias. Visit https://www.bandbcava.it for more details.